Flag is usually rectangular piece of fabric designed and colored in a characteristic way and used for signaling, decoration or as a symbol. 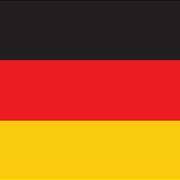 Flag is also a term used for a design of a flag and when that design is used on another medium. Science that studies flags, their history and design is called vexillology, while vexillography is an art of designing flags. Flag developed from field signs and standards that were used in battles to differentiate between friend and a foe or a combatant and a civilian. These field signs are vexilloids, "flag-like". Some of this early flags or field signs are the Achaemenid battle standard Derafsh Kaviani, the standards of the Roman legions in the shape of the eagle or the dragon standard of the Sarmatians that was a kite that was let to fly freely in the wind. 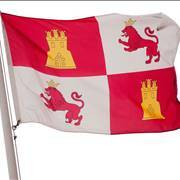 During Middle Ages flags were used instead of heraldic device painted on the shields and allowed for an easier identifying of knights in the battle. At the same time city states and communes started also using flags as field signs. Military units began using flags as a method of recognition in early modern period. In 17th century, with the start of the age of sail, it was first a custom and then a requirement for a ship to carry the flag of its nationality. Navy was also the first to use flags as means of communication. By the end of 18th century, national sentiment starts to rise and these flags are used as national flag. During 19th, every sovereign country had its national flag. Today’s flags have many different uses, from symbols of the nations and cities flown in peace and in war to being methods of communication and advertising. 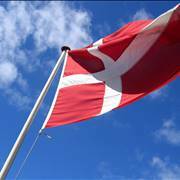 Oldest national flag still in use is the national flag of Denmark. It is used since 13th century and has been inspiration for designs of many Nordic countries such are Norway, Sweden and Finland. Some other flags were also inspirations to other countries for their national flags. Flag of the Netherlands is the oldest know tricolor. Its tri colors were used in some form from 9th century. Those colors were used in coastal region of the Netherlands for cloth and became symbol for people that lived there. Tricolor national flag of France with vertical stripes of blue, white and red was designed in 1794. As a symbol of revolution it inspired flags of Italy, Ireland and Mexico among other. Many Slavic nations adopted variations of Russian flag that established Pan-Slavic colors. 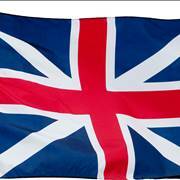 Union Jack of the United Kingdom is a common detail on flags of the former British colonies. The Stars and Stripes, flag of the United States, inspired design of flags of Liberia, Chile and Uruguay with its symbolism of revolution. Flag of Turkey was inspired by the last flag of Ottoman Empire while Turkish flag, with its crescent design, inspired flags of many other Muslim nations. Light blue color of the flag of Argentina inspired flag of Federal Republic of Central America which inspired flags of Guatemala, Honduras, El Salvador, and Nicaragua. Red flag with golden hammer and sickle of Soviet Union inspired flags of communist nations of East Germany, People's Republic of China, Vietnam and others. Although flags are generally just pieces of cloth with some paint on them they played and still play important parts in human history. 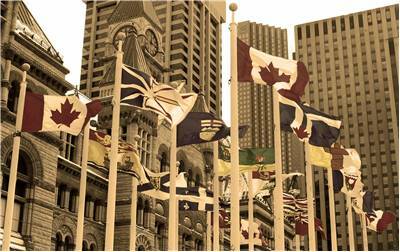 Here you can read more about history of flags. Except as a way for recognizing countries, flags are used in sports, communications and traffic. Flags can also tell pretty interesting stories. 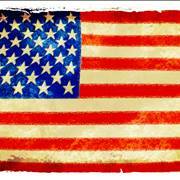 Read here many interesting facts about flags. Civil flags are flags that are flown by civilians and could be same as national and war flags but they could be different completely or in that that they don’t have a coat of arms that is on the national flag. They were more common in the past and they denoted that the building or the craft is manned by civilians. Some countries have war flags that are flown by armed forces and are different than their national flag. Some countries use national flag in the time of war but it is flown upside-down. 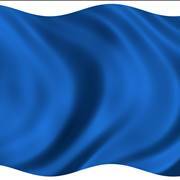 Large war flags flown by warships are called battle ensigns. 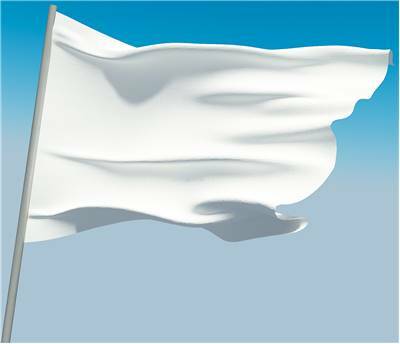 White flag, flown in the time of war, is a symbol of truce or surrender. Flags can also symbolize many nations instead of one and be international flags. Some of international flags are Flag of the United Nations, the Olympic flag, the Paralympics flag, The EU flag and the World Flag. Maritime flags, flags used on the sea, are used as a method of identification and communication. Ships are required by law to fly flag of the nation it belongs together with a flag of the country which waters it visits. The second flag is called “courtesy flag” and if ship flies only its own flag but not “courtesy flag” it traditionally shows willingness to fight and that tradition is still taken very seriously. 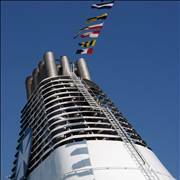 For communicating on short distances between ships, there are two ways of using flags. Flags can be used as letters and numerals and as semaphores. In the first case each flag can heave meaning of one letter or numeral or it can have a specific meaning. As semaphores, operator holds two flags and spells message with positions of his arms and flags. Flags are also used in various sports. In football, linesmen carry small flags and use them to indicate breaking of rules, which side should get the ball after it has gone out of the field or in case of an offside. Touch judges in rugby use small flags for similar purposes. Referees of American and Canadian football use small flag in the shape of a handkerchief that is weighted to mark place where foul play has occurred. Race committee in yacht racing uses flags to communicate with racers. Flags are also used for communication with racers in auto and motorcycle racing. 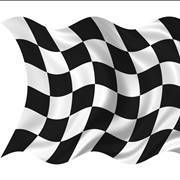 Checkered flag of black and white squares signals end of the race and that the leader of the race is victorious. Yellow flag signal to racers that they should slow down because of some problem on the racetrack and red flag that they should stop immediately. Black flag in races indicates penalties for participants. Most of the flags are rectangular in shape but they can also be also be square shaped, triangular or swallow-tailed.